Dr. Victor Pardi received numerous awards and his Doctor of Dental Surgery degree from Columbia University College of Dental Medicine in 1990, after receiving his BA from Columbia College, Columbia University in 1986. Dr. Pardi then completed his Post Doctoral Specialty in Orthodontics at Columbia University’s College of Dental Medicine in 1992. 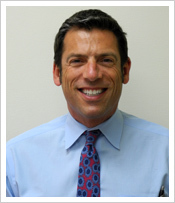 Dr. Pardi has been in private practice in Greenwich, Connecticut (Riverside) since 1996 after beginning his private practice in Stamford. Since 1994, Dr. Pardi has been on the faculty and is currently an Assistant Clinical Professor, Division of Orthodontics at the College of Dental Medicine, Columbia University. He is also a past president and continues to serve on the executive board of the Orthodontic Alumni Society of Columbia University. He is a member of the American Association of Orthodontists, Northeastern Society of Orthodontists, Connecticut State Society of Orthodontists, American Dental Association, Greenwich Dental Society, Seattle Study Club, Invisalign Study Club, and the Northeastern Damon Study Club. Dr. Pardi has resided locally since 1995 and enjoys long distance swimming and sailing in the summer and skiing in the winter.